Have you ever been in a situation where everyone around speak in a different language and when you try to communicate no one understands, instead they find you odd. Some may make an effort to understand you, while some want to distant themselves from you, as they felt that the effort is not worth their time trying to help you. Can you imagine living that 24-7 for the rest of your life? You can't can you? Honestly, I doubt I could ever handle that myself. But you know what? That is what people with disabilities go through everyday. Some may not be able to see, hear, walk or even process information properly (Intellectually disable). It's hard enough to go through life as an average person, imagine with a disability. How much more could a person handle life? Thinking of how we could help or make a difference? Well you can! But before that, watch the video first. 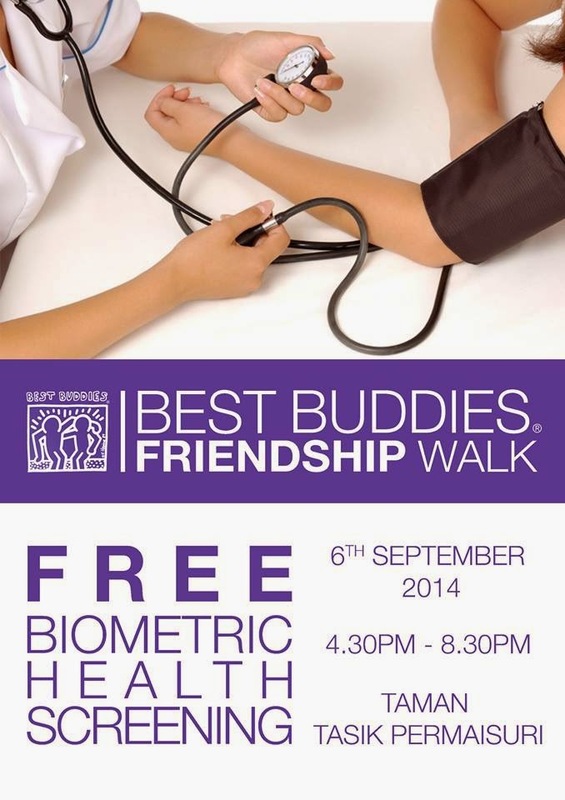 If you got time to spare tomorrow, why not bring your friends and family out for "Best Buddies Friendship Walk". A walk of a lifetime to create lifelong friendships between Individuals With and Without Intellectual and Developmental Disabilities (IDD)! 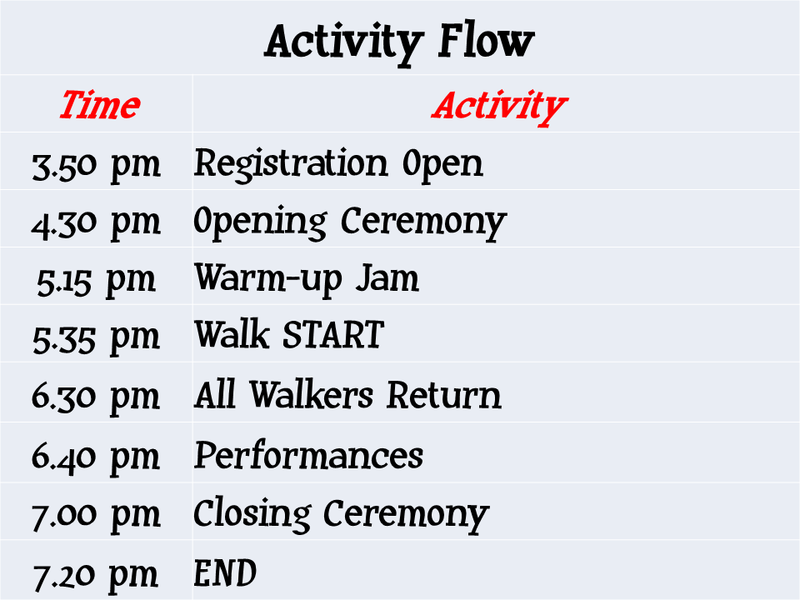 There would be activities for the families and even performances. This is an event you don't see everyday. 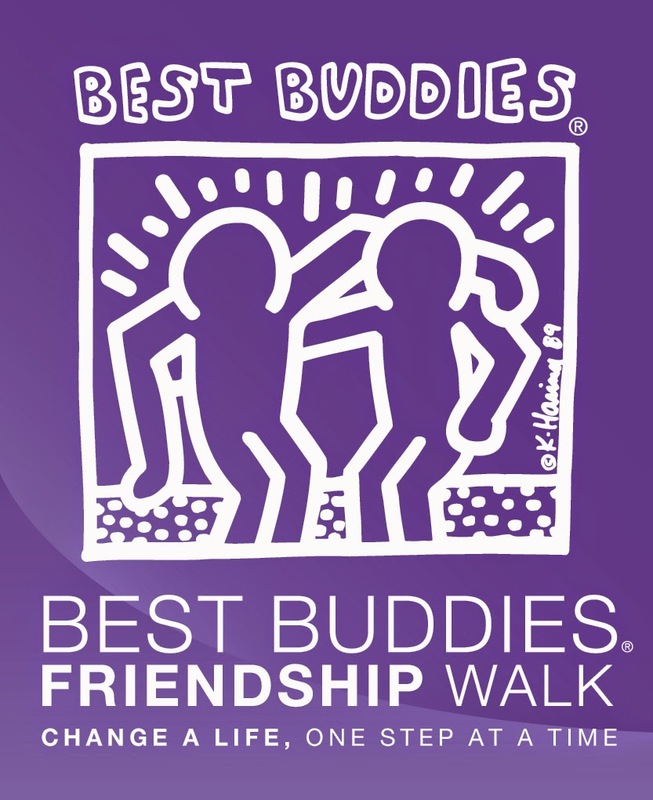 The Best Buddies Friendship Walk is the latest and greatest life-changing movement created by the Best Buddies organization. Since 2009, tens of thousands of participants have walked in countries all over the globe, and raising millions of dollars for Best Buddies. Ultimately, the Friendship Walk changes lives, as participants walk for inclusion, friendship, leadership, and opportunity for people with and without intellectual and developmental disabilities (IDD) . For more information continue reading. 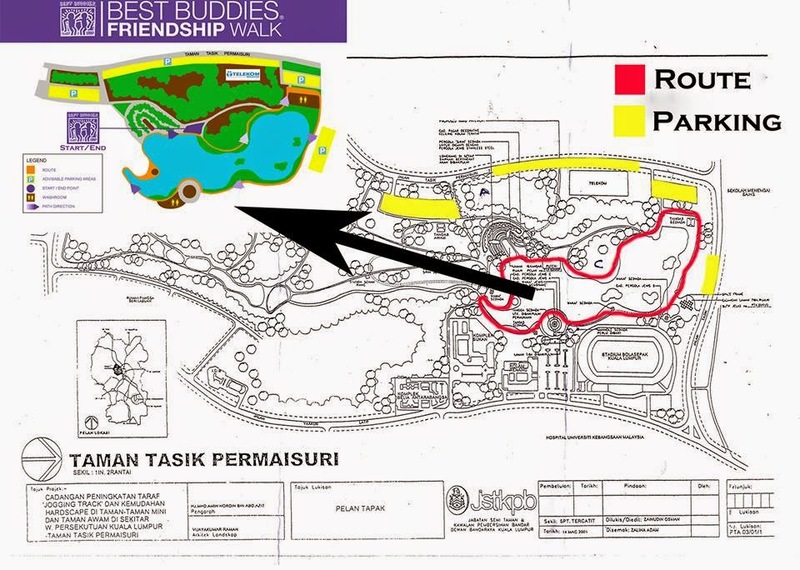 Do check out Best Buddies Friendship Walk Facebook Event Page for instant updates of the event that is happening tomorrow! The aim of the Friendship Walk is to changes lives, as participants walk for inclusion, friendship, leadership, and opportunity for people with and without Intellectual and Developmental Disabilities (IDD). 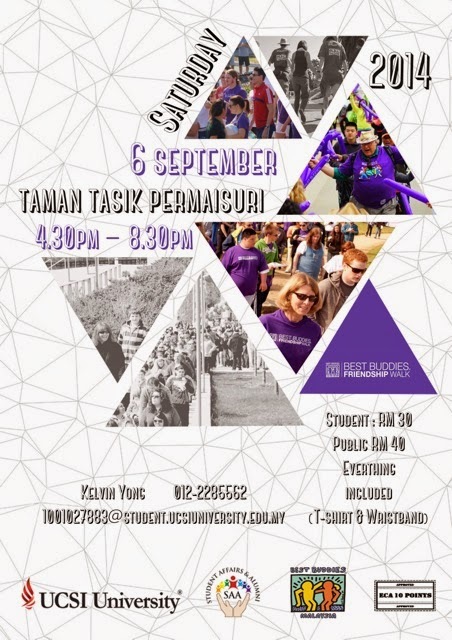 In the Best Buddies Friendship Walk Malaysia, our goal is to generate awareness and also to showcase our program to other schools, universities and corporations so that they too would adopt our program and help us spread the vision of a Malaysia that actively practices INCLUSION. Online registration is closed but you can register on the spot! Let's make a difference by being a friend to those who needs one!